This unique box set brings together the most important and well known Requiems and liturgical music for the dead, spanning a near 1000 years. 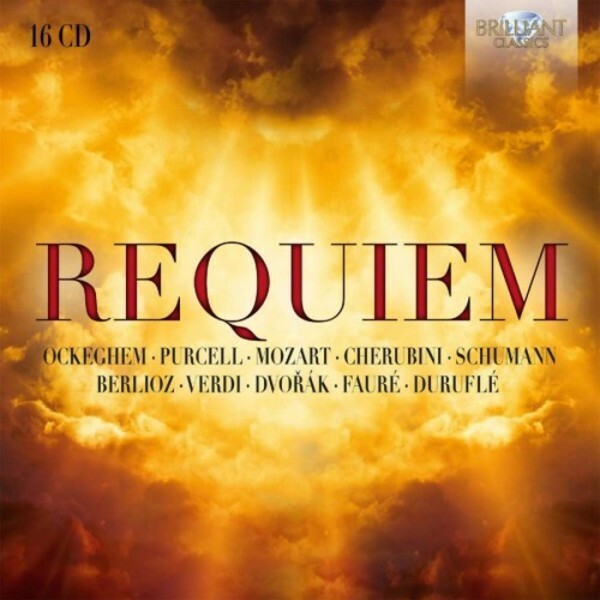 Starting with Gregorian Chant, we move to the Renaissance with a Requiem by Ockeghem, through works by Desprez, Palestrina, Purcell and Praetorius, arriving at the most 'popular' requiem ever written, by Mozart. Following are Requiems by Schumann, Cherubini, Dvoř�k, Berlioz, Brahms, Faur�, Durufl�, Verdi, Puccini, Howells, Pizzetti and Britten.